When Sophie Sayers inherits a cottage in a sleepy English Cotswold village, she’s hoping for a quieter life than the one she’s running away from. What she gets instead is a dead body on a carnival float, and an extraordinary assortment of suspects. 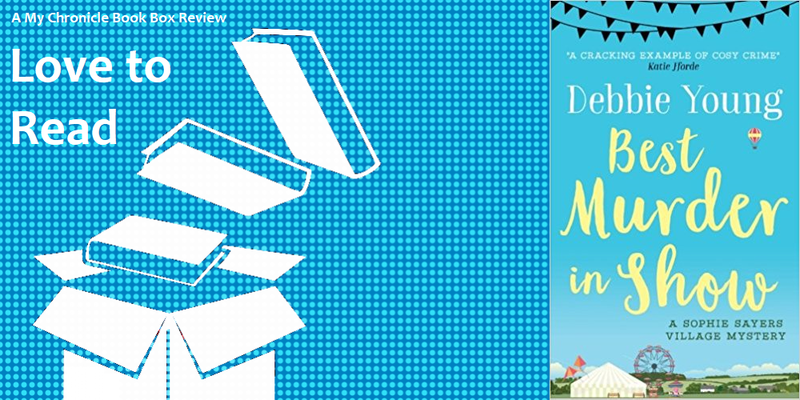 For fans of cosy (cozy) mysteries everywhere, Best Murder in Show will make you laugh out loud at the idiosyncrasies of English country life, and rack your brains to discover the murderer before Sophie can. "From where I was sitting, Anne Boleyn and Catherine Howard seemed remarkably clean and fragrant considering they’d just had their heads cut off." This book was a little different to what I was expecting and all the better for it! There is no active investigating or sleuthing per say but some innate curiosity and a little paranoia that the village may be one like those in Midsomer or visited by Miss Marple, draws us neatly through events leading to the mystery being solved. It is written from the point of view of Sophie Sayers who has inherited her Aunt May’s cottage in the Cotswold village of Wendlebury Barrow. While Sophie spent some of her childhood summers with her Aunt she has not lived in the village before. After an itinerant few years teaching English in Europe Sophie determines to set down some roots and throws herself into village life. As a result of her enthusiasm and existing connection to the village, she is welcomed wholeheartedly by its many eccentric residents and is perfectly placed to observe events and uncover the truth behind a death at the Village Show. Debbie Young paints a picture of a wonderfully eccentric village and charming cast of characters. Carol, the owner of the alphabetical village shop, is a fabulous character and Debbie Young’s use of word play is a real treat. I was completely charmed by Sophie, Joshua and Hector and having zipped through this book, I am eagerly anticipating the sequel. This is a great debut novel and if you like cosy mysteries then read this one as in my opinion, it is a great example and delightful variation on the theme. If you love cosy mysteries and the Cotswolds then this book is perfect for you. Glad I helped you find it ? Thank you so much for this kind and thoughtful review, and of course I am delighted that you enjoyed the book so much. The sequel, “Trick or Murder?”, is due out in July, and I’ll be glad to send you a complementary review copy, if you’d like one. In the meantime, congratulations on your beautiful book blog. Off to share your post now and drive more readers to your blog! Thanks for commenting. You are more than welcome as I thoroughly enjoyed your book and would love a review copy of “Trick or Murder?” ?